My Little Daughter Samantha's 3rd birthday party is drawing near. My Beloved Wife Lei lamented that we are yet to give her a good party like the one we gave to My Little Son Samuel, whom celebrated his baptism Max's Restaurant. 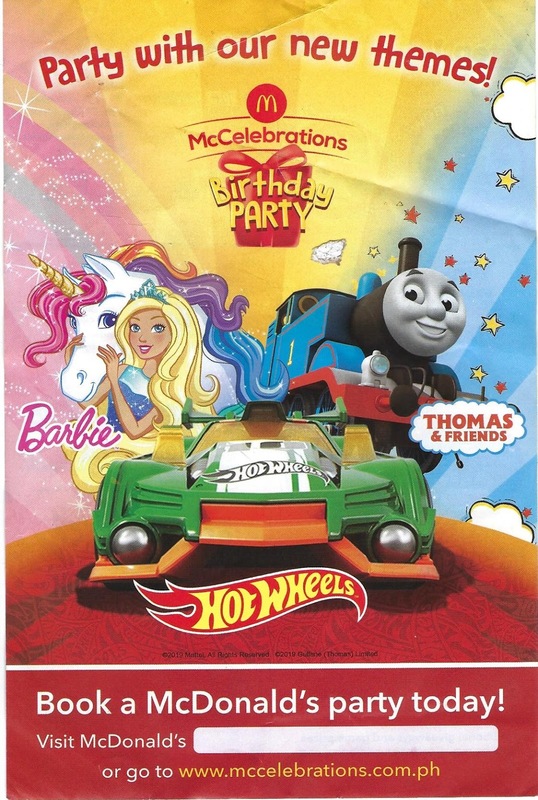 Lei said that she wanted to hold Samantha’s birthday party in McDonalds. I am not sure if that McDo birthday party will push through but I still checked how much money must I shell out for that party. 1. Only 30 people in the party and that includes the members of my family and all the guests. 2. No additional party favors, giveaways or food. 3. 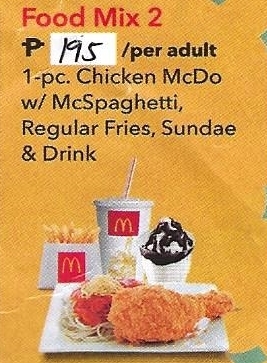 I only chose from the 4 McDo party food mixes. DIY food mix is excluded. I chose the Barbie theme since my daughter loves oink and cute things. 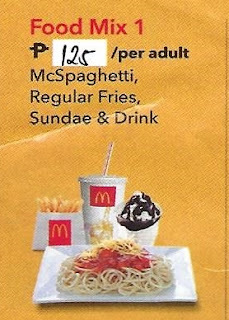 Food Mix 1 is composed of McSpaghetti, regular fries, sundae, and drink. Price is 125 pesos. Food Mix 2 is composed of 1-piece chicken McDo with McSpaghetti, regular fries, sundae, and drink. Price is 195 pesos. 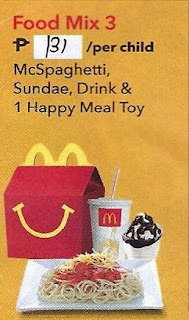 Food Mix 3 is composed of McSpaghetti, sundae, drink, and a Happy Meal toy. Price is 131 pesos. Food Mix 4 is composed of 1-piece chicken McDo with McSpaghetti, sundae, drink, and a Happy Meal toy. Price is 208 pesos. 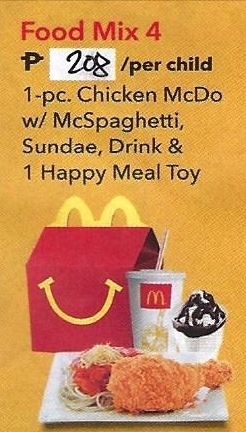 How Much is the McDo Birthday Party? Based on the prices that I posted above, I can now compute how much money should I shell out if we do hold a birthday party for our daughter. Let us recall that the McDo Party Fee is 2,000 pesos, Food Mix 1 is 125 pesos per person, Food Mix 2 is 195 pesos per person, Fod Mix 3 is 131 pesos per person, and Food Mix 4 is 208 pesos per person. The total number of attendee to ny daughter's birthday party is 30 persons. The total party cost if I choose Food Mix 1 is 5,750 pesos. The total party cost if I choose Food Mix 2 is 7,850 pesos. The total party cost if I choose Food Mix 3 is 5,930 pesos. The total party cost if Ichoose Food Mix 4 is 8,240 pesos. Therefore, the lowest amount I should shell out for a McDo birthday party is 5,750 pesos. Take note that the prices quoted above may be different to other McDonalds branch. Prices may also change without notice.